Together, 3-way bulbs and sockets provide a convenient method for choosing one of three levels of light output—lumens—from a single light bulb. For that reason, they are usually found in bedside lamps or floor lamps near a favorite chair. They're also useful in a desk or table lamp. Three-way bulbs are most often used where people tend to spend a fair amount of time doing a variety of activities, such as in the living room or den. For instance, reading print material is often better with a medium level of light. When watching TV or working with a backlit screen, you may prefer a lower level. If you're doing a task which requires viewing it clearly, such as sewing, that’s when you'll want more light. With a 3-way bulb in a 3-way socket, those options are easy. Most often, this set up uses a bulb with a standard screw base (E26) and either 30/70/100 or 50/100/150 watts of power to produce the three levels of light. Some floor lamps with a bowl-shaped shade take a larger PS25 bulb with a Mogul screw base (E39). These will generally use 100/200/300 watts of power to throw a lot of light up onto the wall and ceiling. Screw base 3-way light bulbs and sockets work by supplying power first to the low-wattage element or filament—the 30W or 50W or 100W element in the three examples above. It will then send power to the middle-wattage element or filament (the 70W or 100W or 200W element), and finally to both at once. That’s why the highest wattage for an incandescent or CFL 3-way light bulb is the sum of the two lower wattages. LED 3-way light bulbs receive and apply power in the same way since that’s the way the sockets work. However, due to the different technology, the wattages don't always add up, though they are close. The variable output is achieved with two sets of contacts in the socket and on the base of the bulb. 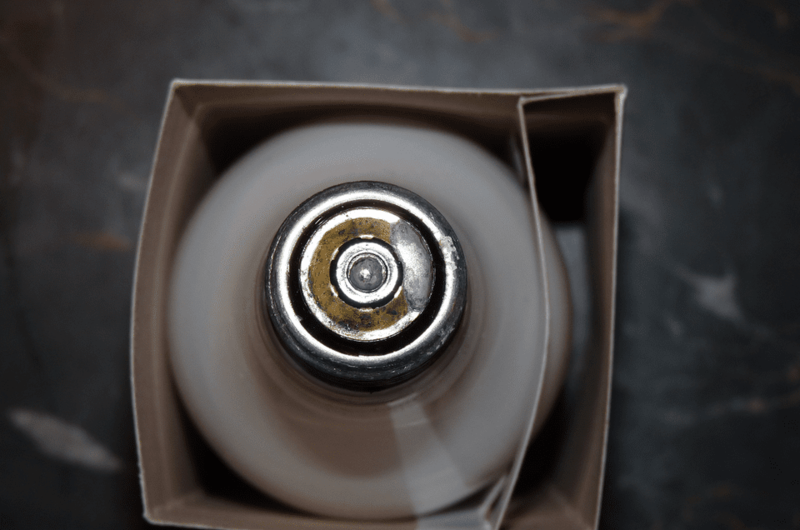 Starting with the bulb, the threaded outside of the base—the part that screws in—is connected to the “neutral,” or grounded conductor in the power supply. The contacts for the “hot,” or ungrounded, conductor are on the end of the base. To see those, turn a light bulb upside down. A standard screw base light bulb will have one metal contact in the center, with an insulating material—usually molded glass—between that and the threaded metal shell. That’s the contact for the hot power. A 3-way screw base light bulb has the same center contact as a regular light bulb. It’s in the center of the base and it’s usually pretty small. That’s where the power connects to the middle-wattage element in the bulb. There’s a ring of insulating glass around that, then a metal ring, and then a second insulating ring before you get to the threaded shell. That isolated metal ring is the second contact. That’s where the power is connected to the low-wattage element in the light bulb. In every screw base socket, there’s a center contact to match the one on every screw base bulb. In a 3-way socket there is a second contact to supply power to the ring-shaped contact on the base of the 3-way bulb. It’s a little tab, and it’s sitting to one side, midway between the center contact and the shell of the socket. Electrical switches work by connecting and disconnecting the circuit from the panel to the load and back again. When you turn the switch control on a 3-way socket one click from “off,” the switch connects power to the socket’s tab-shaped contact. This sends power to the bulb's ring-shaped contact and its lower-wattage element. When you turn it one more click, it disconnects the tab and connects the power to the center contact. That takes it to the higher-wattage element in the bulb. Turning the switch one more time connects power to both the tab and the center point contacts. Both of the elements in the bulb have power at the same time, using the maximum wattage. One last click of the switch disconnects all of the power, and the light bulb goes off. If you think this through, you’ll see that the switch in a 3-way socket is sending the power to the lower-wattage element in an on-off-on-off pattern. It's also sending power to the middle-wattage element in an off-on-on-off pattern. The bulb may be a standard bulb rather than a 3-way bulb. The lower-wattage element in the 3-way bulb may have burned out. The contact for the lower-wattage element may be defective. It’s usually pretty easy to troubleshoot and fix the problem and fix or repair it. Take it one step at a time and you'll have your favorite lamp functioning on all three “speeds” again.